Well, last week I started a new 'Publishing Perspectives' series here on the blog, which is to say, once a week for the next few weeks, I'll be posting interviews with people on both sides of the publishing fence, i.e., both the people who work in publishing and the writers working toward publication. I love talking to writers and authors especially. Each writer is so different in how they approach the labor of finishing a book, getting published, and even in their relationship with the public. Clearly there is no one set of beliefs surrounding the craft of writing. 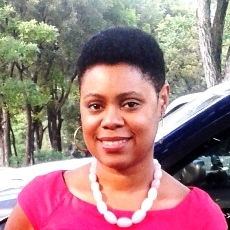 Today, I'm posting my interview with Ibi Zoboi. I first came to know of Ibi when we published her children's story, "The Little Golden Stone Man", set in Haiti, in the 2011 issue of Anansesem. Since then, I've been following her work and her blog, Tell My Horse. She's definitely someone whose writing career I'd be excited to watch unfold. I'm grateful to Ibi for graciously agreeing to this interview. You're currently studying as an MFA student in Writing for Children & Young Adults at the Vermont College of Fine Arts. How important is pre–qualification in our field? I don't think there is such a thing as pre-qualification in writing. An MFA does not a guarantee a salaried job once you graduate, of course. And choosing to get one is a very personal decision. The only thing a writer must do is to write very well. And I'm certainly getting those skills at VCFA. I'm not there to write one good book. I'm there to learn the craft of storytelling. There are certain skills a writer needs to make a career out of telling a good story. The Writing for Children program is very specific and it was the first to offer such a program. I'm surrounded by award-winning faculty and students (Trinidadian writer Lynn Joseph is my classmate). I'm in my second semester and I've read nearly a hundred children's and teens' books so far. I've examined different craft concepts and themes in children's literature and worked closely on my last manuscript. Rita Williams-Garcia was my last advisor and I'm now working with Susan Fletcher. I'm a mom of three and I'm forced to carve out a block of time to focus on reading and writing. This has been worth every (loaned) penny! And I'm committed to a life-long career of writing for children so this was a necessary investment. Last year you won the Gulliver Travel Grant given annually by the Speculative Literature Foundation. How have you used the grant to further your writing career? The grant did not necessarily further my writing career. It's a nice addition to a bio or query letter, of course. But it did help the novel that I was writing. I'm writing about Haiti and I needed to be there on the ground to get some of the details correct. I'd been relying on blurry memory and Youtube videos before then. I visited Haiti during Fete Gede, or Day of the Dead, and Gede figures prominently in my novel. The Speculative Literature Foundation does an excellent job of highlighting and supporting genre writers (fantasy and science fiction), and I was truly honored to be their 2011 winner. You've written a fantasy YA novel, Bandit, that's yet to be published. I love the title of the novel. Can you give us a sneak preview of what it's about? Sixteen year-old, Brooklyn-born Anacaona Makandal has the magical gift of being able to teleport things with her mind (stealing) and make things come to life with clay (pottery). Ana comes from a long line of Clay Women and she has also inherited her magical stealing powers from her father, the last Great Bandit of Haiti—a Robin Hood of sorts, who can travel between the world of the living, the world of the spirits (the Vodou loas/deities) and the ancestors—Ginen. She is the only girl in Haitian history to inherit such a gift. A girl isn't supposed to be a Great Bandit. She’s supposed to fine tune her prodigious sculpting skills to become a Clay Woman like her mother and foremothers. Do you think there is a gap in the market for genre MG and YA books featuring so-called characters 'of color' and is that something you hope to address as a speculative fiction writer? Yes, there is a serious dearth of multicultural books featuring characters of color, and more specifically, black characters. I can count on one hand how many sci-fi/fantasy books for young readers from diverse backgrounds have been published within the last couple of years. Zetta Elliott does an excellent job at articulating the lack of diversity in the industry. I was writing speculative short stories for adults first, before this YA boom. I also worked with children and teens as a creative writing teacher. When I realized that some kids had a hard time placing themselves in the future or pulling from their own cultural mythologies to write sci-fi or fantasy, I became more determined to tell these stories where inner-city black and latino kids were the heroes and heroines of their own stories. You submitted Bandit to the Lee and Low New Visions Award contest which recognizes a debut author of color for a middle grade or young adult science fiction, fantasy, or mystery novel. Now you're one of three finalists for the award; congratulations! What did you do to prepare your manuscript for submission? I've been writing and calling myself a writer for the last thirteen years (Though things slowed down a bit after the birth of each of my three children). I think the time I've put into writing was the best preparation. I also got a chance to work on the first few chapters with my advisor at VCFA. What Lee and Low and Tu Books are doing is tremendous. 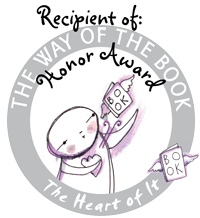 There had been all these online discussions (and they're still happening) about diversity in children's books, and their New Voices and New Visions Awards addressed a serious need. I'm honored to be among the finalists. The award winner will be announced on March 31. What will you do if you don't win? What will you do if you do? I'm still working on my manuscript with my new advisor at VCFA. A book is not done until it's on a shelf. So I'm learning the very necessary art of re-writing. If I don't win, I get to work on it some more and make it even better. If I do win, I get to work on it some more and make it even better, but under a contract and a publication date. It's a win/win situation for me. I'm excited and sincere about the story that I'm telling, so I know it will get into the hands of readers with the help of some amazing folks. I've had some great ones who've helped me get this far. Your first picturebook, A is for Ayiti, was recently published by One Moore Book. What have you learned about the art of writing picturebooks that you didn't know before? Writing for children is very hard. A is for Ayiti is an ABC book based on Haitian culture using an English alphabet! Edwidge Danticat served as guest editor for the series and I had to go through several edits with her and the amazing publisher, Wayetu Moore. I also learned that there is a great need for more books like these. OMB's Haiti Series garnered so much support and attention. I'm so glad Wayetu Moore took on this huge task. A is for Ayiti was translated into Kreyol and copies are being sent to Haiti. I was so proud to be a part of this series. You have a writing blog, Tell My Horse, where you dish about your writing projects and developments. How important is it for children's/YA writers to build an online platform before seeking publication? I really don't think it's important to build an online platform before seeking for publication. I know some folks who have a huge online presence and are vocal about different topics, but still had a hard time getting published. There are also lots of debut authors who I've never even heard of. Though it does help to have some visibility. For me, it's simply a way to get some of my ideas out. I'm a writer and the internet is just one giant notebook. You get to play around with your voice and words and send it out into the world. I'm very passionate about mythology and Haitian folklore and children's books. So this is what I write about. People who are interested in what you have to say will seek you out. They will get a sense of your core values. These things are helpful, of course. But what's most important is to write, read, write, and read some more. I don't let blogging or social media get in the way of this. Ibi Zoboi was born in Port-au-Prince, Haiti and is a graduate of the Clarion West Science Fiction and Fantasy Writers’ Workshop. 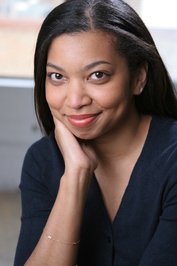 Her short story, “Old Flesh Song”, is published in the award-winning Dark Matter: Reading the Bones, a collection of African American speculative fiction. Ibi received an award from the Women Writers of Haitian Descent for her short story “At the Shores of Dawn”, which was published in One?Respe! literary journal. She won a "Tricky Talker of the Year" an annual tall-tale contest presented by the Afrikan Folk Heritage Circle. Her children’s fable, “Mama Kwanzaa & Her Seven Children”, was published in African Voices Magazine, and her short story "The Harem" is recently published in Haiti Noir, edited by Edwidge Danticat. Her children's story "Little Golden Stone Man" was published in Anansesem Caribbean children's literature ezine. Ibi a recent winner of the Gulliver Travel Grant given annually by the Speculative Literature Foundation and is an MFA student in the Writing for Children & Young Adults program at Vermont College of Fine Arts. She lives in Brooklyn with her husband, visual artist Joseph Zoboi, and their three young children, and has completed a YA fantasy novel, Bandit, based on Haitian myth and folklore which she is currently honing for publication. You can follow her on Titter at @ibizoboi. Over the weekend we had lovely Spring-ish weather in Philly. I was out running both days which always puts me in a good mood. I also celebrated my birthday with family. We went to Maggiano's and ate waaay too much food. I still have a huge chunk of the richest chocolate cake I've ever tasted in the refrigerator. Today, before I finish off the rest of the cake, I'm posting my recent interview with Tracey Baptiste. About two years ago, I began following Tracey's blog, Knitting with Pencils, after reading her YA novel, Angel's Grace, a tender coming-of-age story set in Trinidad that was named one of the 100 best books for reading and sharing by NYC librarians. 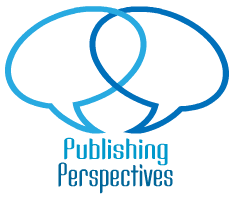 My interview with Tracey is the first in a new 'Publishing Perspectives' series in which I'll be interviewing people on both sides of the publishing fence, i.e., both the people who work in publishing and the writers working toward publication. I've always found it fascinating to hear the stories of people who have been in the trenches of publishing so to speak. A big thanks to Tracey for kindly agreeing to this interview. You were recently offered representation by Marie Lamba from Jennifer De Chiara Literary Agency. Congratulations! You must have written a great query letter. 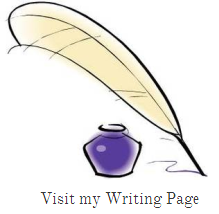 Can you share with readers a few tips for writing a strong query letter? Queries have to capture the essence of your story. Where people go wrong is trying to tell their entire backstory. Agents are busy. All they want to know is "why should I take a look at this book?" The trick is this: a one paragraph intro that tells the agent that you are seeking representation for a book. Follow this with one paragraph that summarizes your book and captures its spirit. Think of it as the back cover copy. End with a one paragraph summary of your background as pertains to the writing of this particular book. That's it. Any more than that will work against you. If you've written a good query and a good book, 50-75% of agents should respond, assuming you've done your research and are submitting to the right ones for your work. I have been doing this for a while, so I can usually write a query in a couple of hours, with tweaking for a few days. But when I started, it would take a month sometimes to find the right words. Let's talk about your unpublished novel. You keep dropping all of these tantalizing hints on your blog, like "the book takes place nearly a hundred years ago" and it "involves jumbies and Caribbean spirits". Can you give us a little taste of what the book is about? This story takes a paranormal spin on the Haitian folktake, “The Magic Orange Tree.” It is set on a tropical island, and is filled with creatures from the bedtime stories that I grew up listening to on the island of Trinidad. It introduces a new creature to intrigue fans of vampires, zombies, and fae: the jumbie—a malevolent spirit with the power to maim, transform, or even consume human victims. That was my opening paragraph. The rest describes the protagonist, 10 year old Corinne, who unwittingly draws a jumbie out of the forest, and who finds herself the central figure in the jumbie’s attempts to get revenge on the people of the island. This is also my first attempt at a Middle Grade novel, and one that’s so creepy. Think Neil Gaiman’s Coraline. But I wanted something that captured the creepiness of those soucouyant stories my family would tell me before bed when I was a child. You started writing the novel ten years ago and received many rejection letters from agents who read the manuscript. Most writers would have given up and moved onto another project. What drove you to hang in there with this particular novel? This is a long story. Ready? I conceived of the story ten years ago, and I started writing it around the time my first novel was published (2005). I had a hard time getting it to work, so I put it away and went on to write two more novels (both terrible), and seven non-fiction books. Somewhere in there, I also had a second child. About six years ago, a friend who is also an editor told me I needed to make it more “epic,” but I couldn’t figure out how. I put it away again for about three years. Then I worked on it fairly steadily for a year. I sent it to my agent, she liked it, and sent it out on submission, but it was rejected three times. She decided not to send it out again. This was when she and I parted ways. I worked on it for a few more months and started sending it out to agents. A few were interested, and asked for changes, but ultimately no one bit. Finally last summer I made a “last list” of agents to send to, and Marie loved it. (Once I signed with Marie, I notified the other agents that I was no longer in the market for representation.) I really believed in this story, not because I worked so hard on it, but because it represents me and my culture in a very real way. I wanted a heroine that my children could look up to, and recognize themselves in. I'm always curious about where the idea for a book came from. Who or what inspired you to write this book? “The Magic Orange Tree” was one story in an anthology called Best-Loved Folktales of the World that I picked up when I was in college, and that I still have in the bookshelf in my office. I like to keep it close. It's basically a Cinderella story, and I happen to love Cinderella stories, so I'm not surprised that this one stuck with me. It had everything I liked: magic, a clever girl, an island setting, a nasty villain. I remember you were having trouble with your villain, both her name and characterization. What do you think it is about villains that makes them so hard to write? You grew up in Trinidad and moved to Brooklyn at age fifteen. How does your upbringing and background influence your writing? The truth is, I really want to write stories that feature the Caribbean and the creatures I grew up hearing about. I am writing for the kid that I was (and still am), and for my kids too, so they don’t miss out on their culture. My daughter is very interested in soucouyant stories, and there aren't many books that feature them. Not many that are really good, anyway. This is as much for her as it is for me. I don’t worry about where that puts me in the U.S. literary scene. Assuming the books are ever sold, I’ll let someone in marketing worry about it. Your first children's novel, Angel's Grace, was published by Simon & Schuster in 2005. What is the one thing you wish you'd done differently as a first-time author? I was so terrified and shell-shocked throughout that process that I’m not sure what I did right or wrong. One thing that my editor told me was that I took her notes well, and did great revisions. But one thing I didn't do was ask a lot of questions. Like, there were supposed to be illustrations in Angel’s Grace. We did the illustrations (I have them in an ARC) but they never made it into the final copy. I have no idea why. You've worked at big publishing houses like Scholastic and Chelsea House Publishing. From your insider's perspective, what would you say to children's/YA writers trying to work with these publishers? I've freelanced for both of these publishing houses along with a few others. But freelance writing for a house is quite different from being an author that they seek out. In one you’re an employee who gives them exactly what they ask for. In the other, you’re “the talent.” But my advice for working anywhere in publishing is this: be polite. Publishing is a very small world, and word gets around fast. You're a freelance writer, entrepreneur, mom, and knitter. And you have a full-time job. How do you fit writing into your busy life? Now that I’m back to a regular full-time job, finding writing time is harder, but I love it, so I squeeze it in whenever I can. I don’t have a particular day or time that I regularly write. But if I’m not actively writing, you can bet I’m thinking about it. You're a NaNoWriMo regular and it seems to work for you. So many writers find that challenge impossible to do. What advice do you have for anyone attempting to make NaNoWriMo work for them? NaNoWriMo is like stream of consciousness novelling for me. It’s very freeing to write without worrying about what I’m writing or what someone will think of it. And even though a lot of what I do write during NaNoWriMo isn't usable, an amazing percentage of it is! Especially when I let it sit there for a few months before I look at it again. My advice is to just get as much of a story out of you as you can, and then not look at it for a long, long time. When you finally do, it will surprise you. You are a cancer survivor and you've blogged openly about your cancer journey. I never told you before how much I admire you for your courage and strength and how personally encouraged I was by your blogs. What would you say to struggling writers out there who are also dealing with illness? Writing about cancer was a tough choice. I come from a family who likes to keep their business to themselves. But as a writer, I felt compelled to communicate. I didn't start writing about the cancer though until I was almost finished with treatments. By the time everyone (including some of my friends and family) had heard about it, I had already been in treatment for a year, and had only a few months of chemo left. Writing about it during the hardest part of the treatments would have been too difficult and raw. What I learned about writing while dealing with illness is that if you love it, being sick is probably not going to prevent you from doing it. I wrote query letters and jotted down story ideas while hooked up to chemo machines. I knew being sick wasn't going to be my life. My life was that other thing I did, where I wrote all the time. Tracey Baptiste was born in the Caribbean island of Trinidad and moved to Brooklyn, New York, when she was fifteen. She is a former elementary school teacher who left teaching to work for an educational publisher, and then left educational publishing to work for herself. 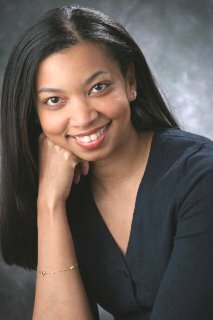 She is the author of a critically acclaimed young adult novel, Angel's Grace, and 7 non-fiction Middle Grade books including biographies of Madeleine L'Engele, Jerry Spinelli, and Stephenie Meyer. She lives with her husband and two children in Englewood, New Jersey, where she is honing her latest middle grade novel for publication. She is currently represented by Marie Lamba from Jennifer De Chiara Literary Agency. You can follow her on Twitter at @TraceyBaptiste.